#172 - THE BEST, WORST, WEIRDEST & WILDEST MOMENTS OF 2017! Remember how huge 2016 was for Star Trek, with the 50th anniversary and Beyond? Well, this year proved more exciting and momentous than fans likely ever dared dream, with the intense anticipation and spectacular unveiling of Discovery. The resulting renewed spark of optimism and life in the franchise helped make 2017 an unforgettable era for Subspace Transmissions, inspiring week-to-week coverage of a new series for the first time, and the development of other fun avenues for delving into Burnham and crew's ongoing adventures. 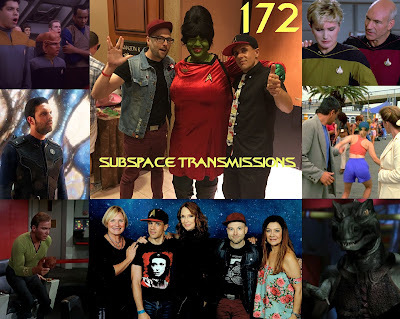 Which of course brings us to this incredibly packed fourth annual retrospective, wherein hosts Cam Smith and Tyler Orton usher out the old with an in-depth discussion on their feelings regarding Trek in 2017, as well as forecast the potential gifts waiting in 2018. There's also plenty of highlights from the past 365 days, featuring cosmically cool guests Tom Ball, David Borys, Carmin Carotenuto, Andy Chan, Dale Deruiter, Tony Geluch, Patrick Johnson, Geneva Orton, Vicki Siu and Janine Smith, involving penalty boxes, trout-fishing, Andorian 00-agents, surprise hologram characters, unlikely rowing instructors and so much more! Plus, as an added bonus, the duo offer their spoilery thoughts on Star Wars: The Last Jedi and celebrate two of the year's biggest sci-fi movie triumphs. 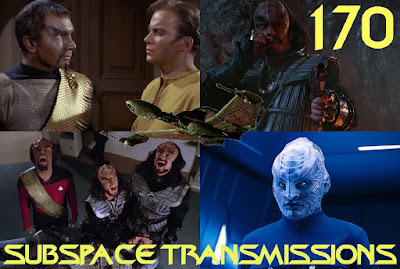 Now that we've settled into the Discovery holiday hiatus it's high time to consider the overall trajectory of its initial run, and debate how well it is stacking up against that which came before. This week hosts Cam Smith and Tyler Orton pull out their marking pencils and hand in their mid-season report cards for Burnham and crew's early adventures, with special attention paid to character evolution, world-building and storytelling. 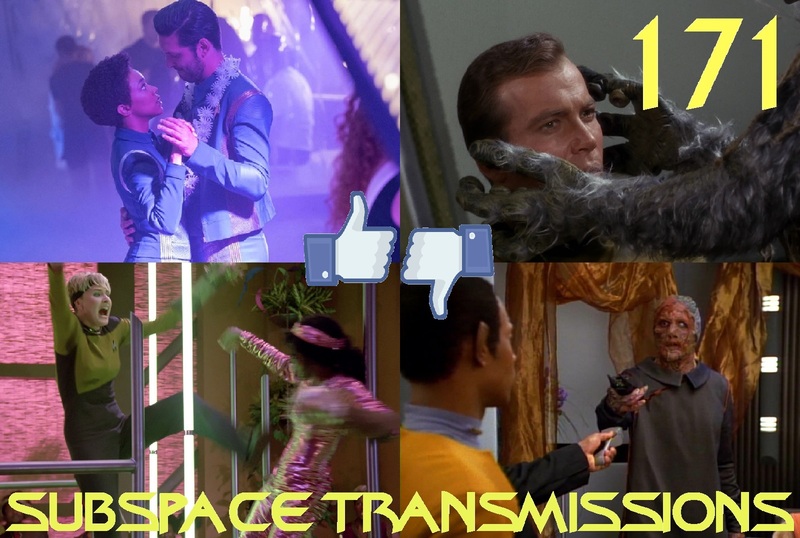 In an effort to contextualize DSC's progress, the duo also take a lengthy look at the first nine hours of each previous Trek incarnation and determine how confidently those now-beloved shows got off the ground. Did any of them boast an episode as great as Magic to Make the Sanest Man Go Mad, for example? Plus, as usual, the Ortonville soars in to offer up his thoughts on The Orville's season finale, Mad Idolatry.